The Team! – Jonglirium e.V. Home » About! » The Team! tyle is a nomadic musician and stilt performer. Born in 1978 in San Francisco, he grew up on US colonies in Germany and Japan, but as an adult rebel clown, he values anarchy, trans-feminism and community. He travelled extensively with antagon theaterAKTion and other performance groups before insisting on building tallbikes for the many 2wheels4change journeys. Finally trying to settle, he’s helping to create a community in Can Bee near Barcelona, while touring with musical groups such as Les MariKarmens, teaching music and theater at summer camps, and organizing ERASMUS+ youth exchanges in Germany and Catalunya. Felix loves connecting people into collective and artistic projects and processes. 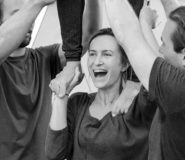 With friends and colleagues he started this NGO to support social circus music and theatre around the globe… and our network of performers, artists and pedagogues is alive and kicking. He studied circus and special needs education (specialising in challenging behaviour and mental disability) at the Humboldt University (Berlin) and is very greatfull for a meaningful chance to combine his skills into projects that create opportunities and broaden horizons for everyone involved. 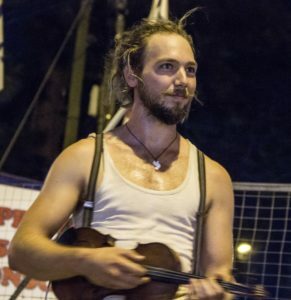 He is a passionate acrobat & musician performing with the FourStringCompany. 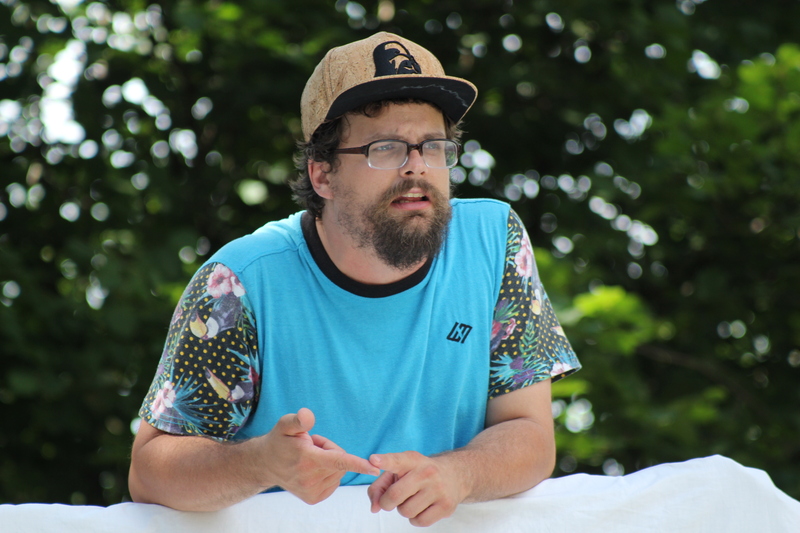 Also he started a beautiful project space in the nature in Halle (Saale), East Germany together with likeminded, creative people, in 2016 – hosting some amazing trainings, workshops and events there. 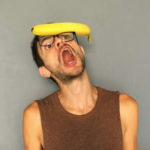 Also known as Abuela, Grandma, Oma…Víctor is an acrobat and professional cyr wheel performer from Madrid who has been involved in social education since 2008. He studied circus arts, performance and social circus in Barcelona since 2015. He lived in Italy, Germany, Austria and right now in Spain in different communities and projects. Always involved in social change and LGBTQ+ community. 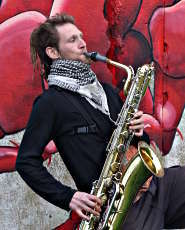 He also plays saxophone and flute in Les MariKarmens band. Marta is a law graduate but she couldn’t be more far from the legal career as she is now – and she’s happy about it! Marta is a handstand trainer as well as yoga and acroyoga teacher, sharing her passion for movement with people from all around the world. She had organized dozens of events for herself and others in the past jobs, and now she is also a part of the Jonglirium Team where she is co-responsible for outside communication and making beautiful projects happen. She is passionate about the concept of creating space for people to meet and share and is always looking forward to more beauty to come and happen. Dorothea (Dorli) is our turkish connection – she organises and coordinates projects in the middle east like the ‘Art4SocialChange’ a German-Turkish exchange and skillsharing. 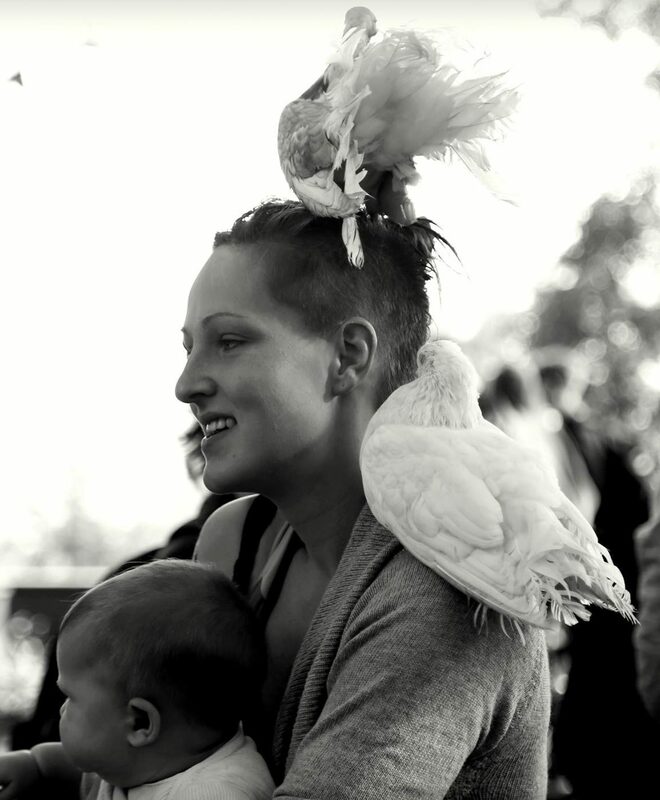 In Jonglirium she is co-responsible for writing projects, project management & funding. She studied Political Science and Media Science and is just finishing Book Art Studies in Halle. She speaks and sings in many languages and has an incredible library of lullabies in her head! 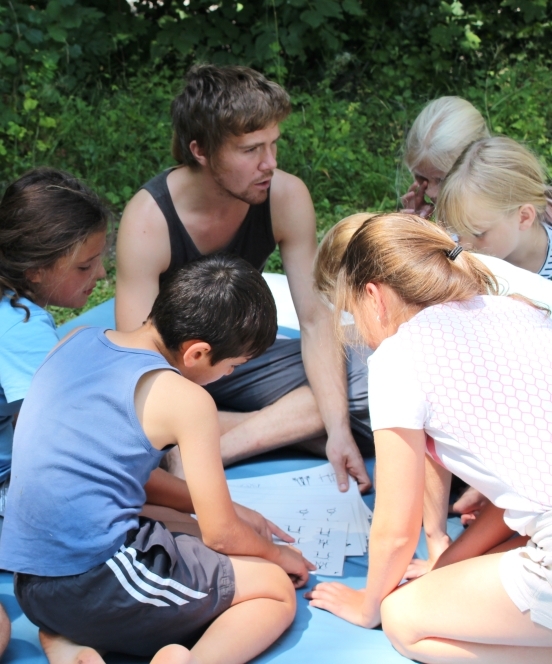 Richard, (the Tall British one of the Team) Is a Performer, Teacher and Games & Group Facilitator. Who has been working on and off with Jonglirium for about 8 years. His artistic explorations of Theatre, Music and Teaching go through his company ‘From The Playns’. He lives with Felix in a artistic living comunity and enjoys Games, Ukuleles, Balls & Cookies. He is most happy when in a big empty room with a wooden floor and around 15 other humans. 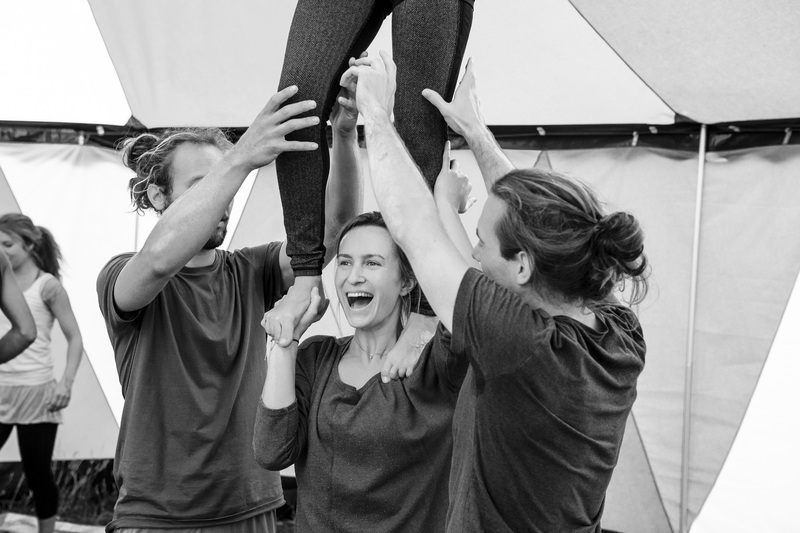 Justus Eggers is a trainer and project designer within Jonglirium projects almost since the beginning, he is currently finishing his pedagogic studies in Freiburg, Germany and worked as a trainier for non-formal circus, outdoor and adventure education since many years. He is also a certified climbing trainer and is the person to ask if you want to have something safe and securely set up. Leonie Henz has been working with children and youth (often with migration background) for many years in mostly non-formal education. She is in the last year of her studies for being a primary school teacher and is working as an circus (acrobatics) trainer for children. 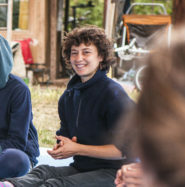 Since 2017 Leoine is also active in outdoor activities (especially rock climbing) and is a group leader of a DAV-youth-group (German Alpine Association).